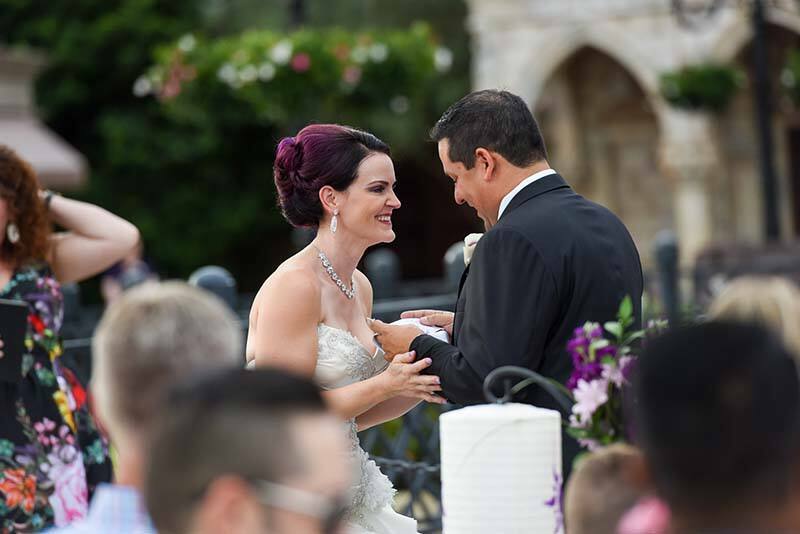 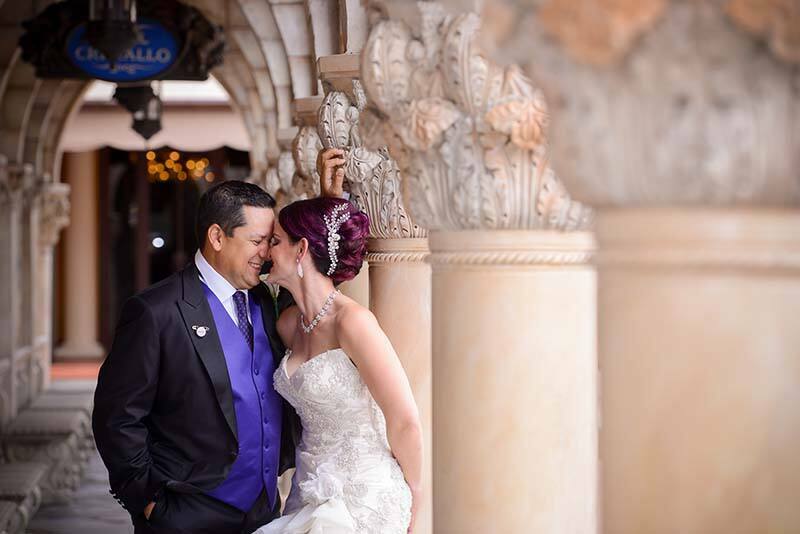 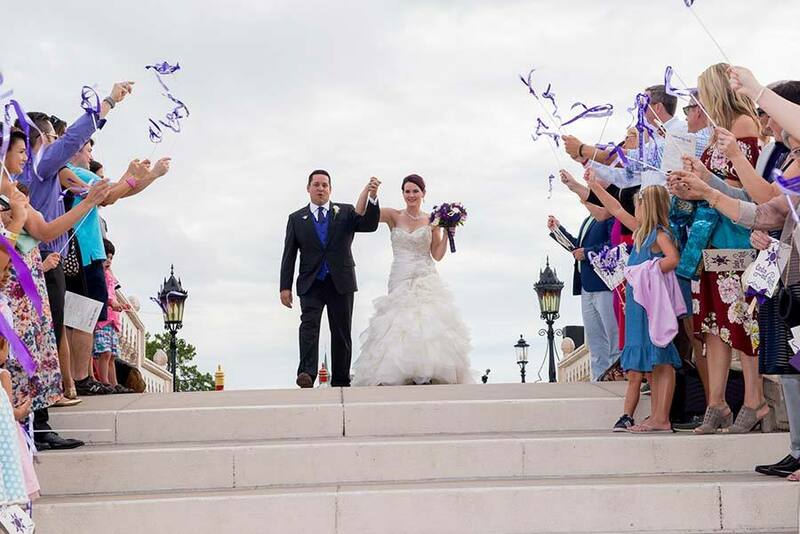 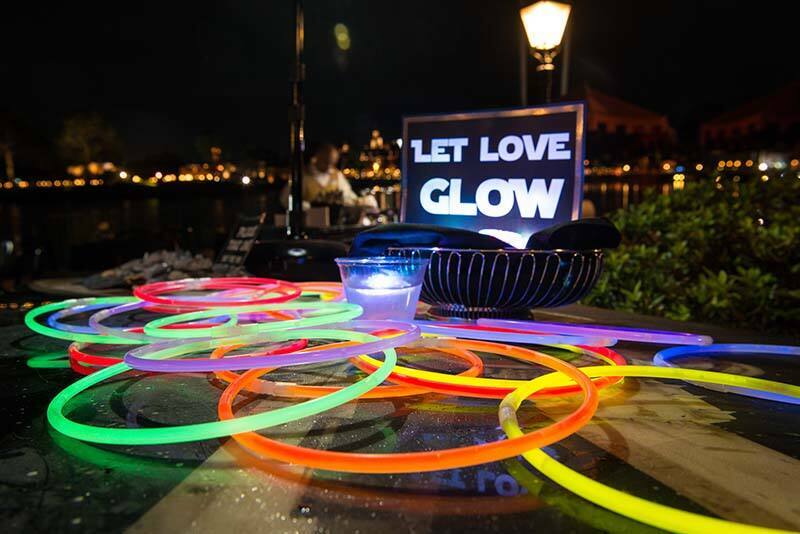 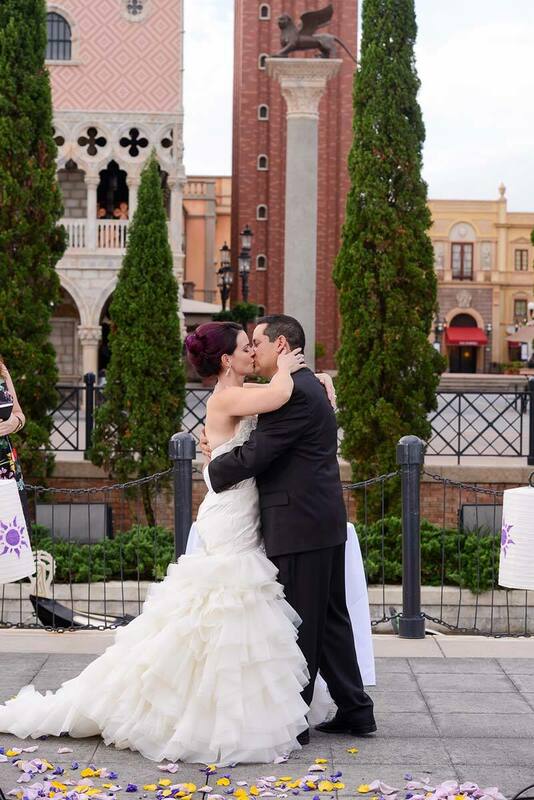 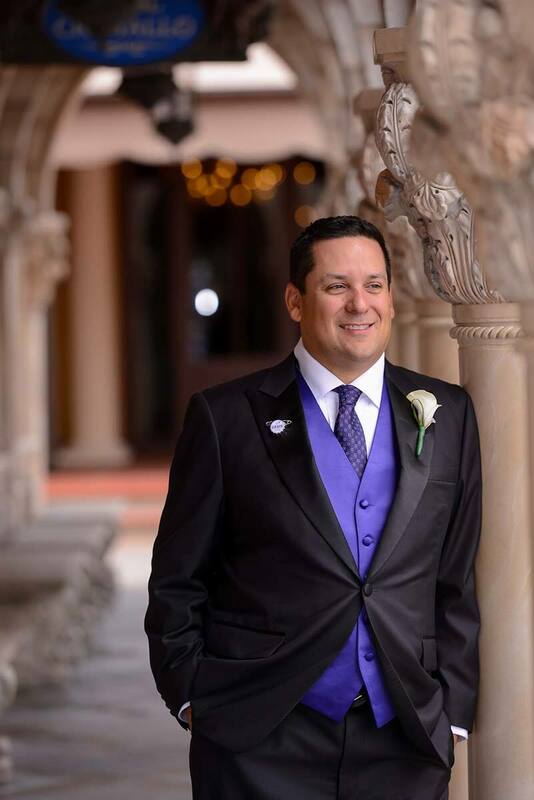 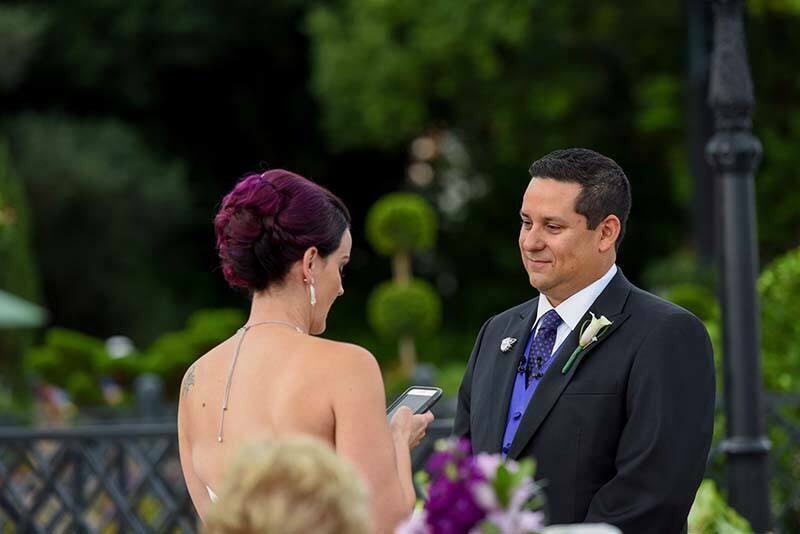 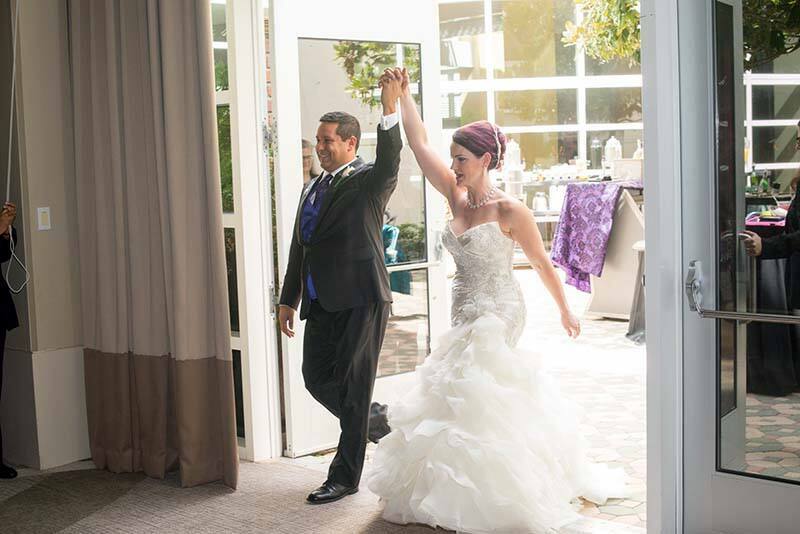 When Candice and Richard decided to renew their vows after twelve wonderful years of marriage, they knew it had to be at Walt Disney World. 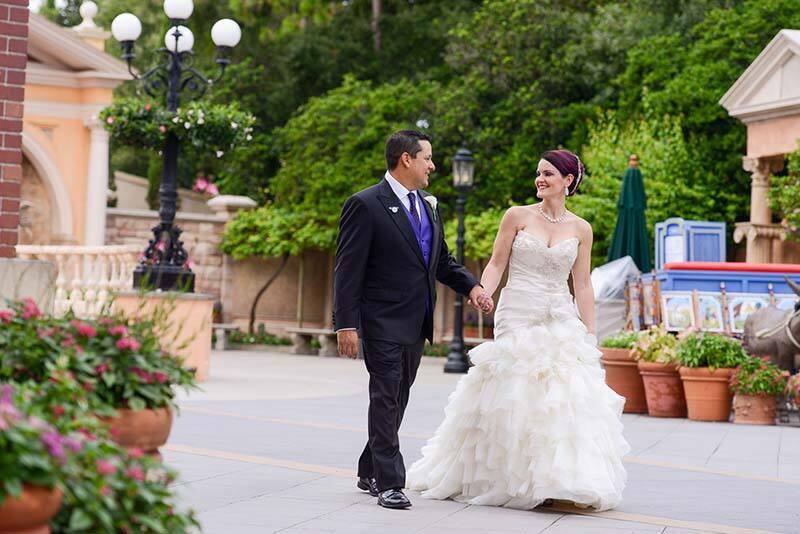 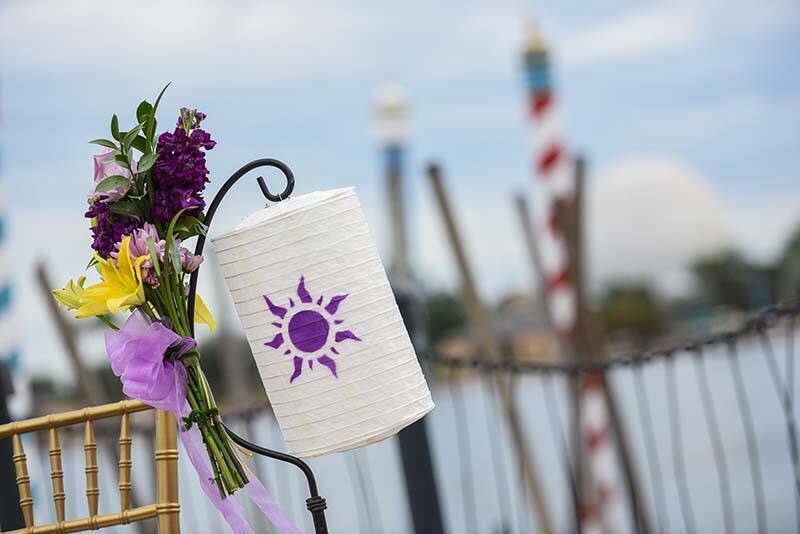 Together with their daughter, the couple visited the parks for the first time back in 2009, and Disney immediately earned a special place in the family's hearts as their "happy place" and "home away from home." 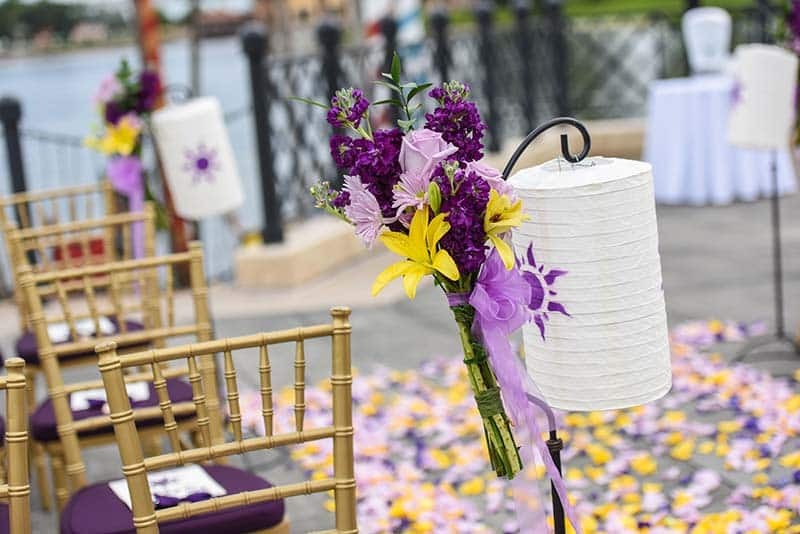 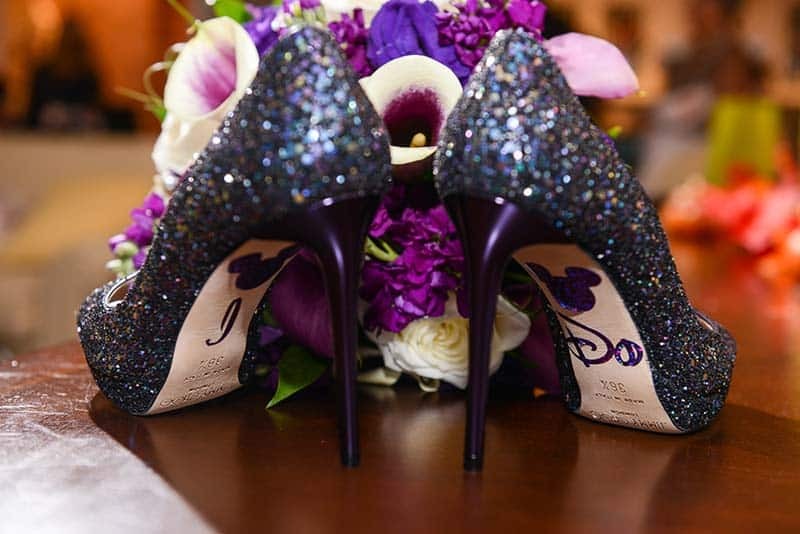 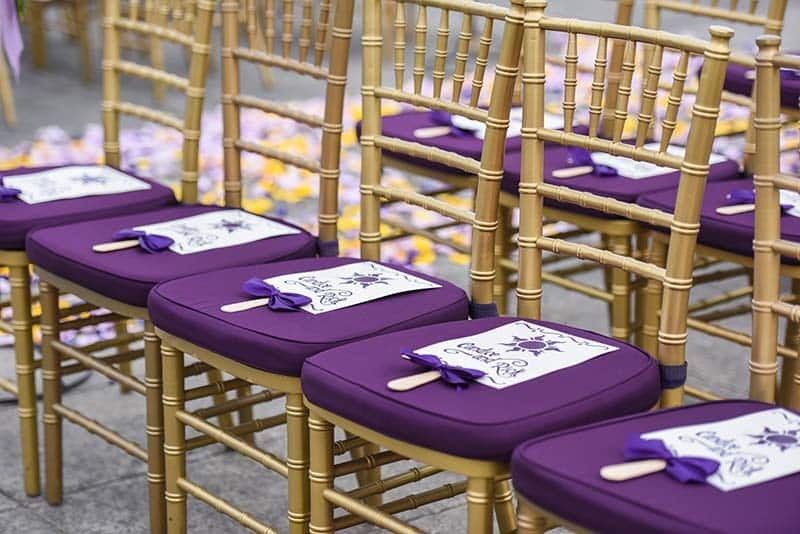 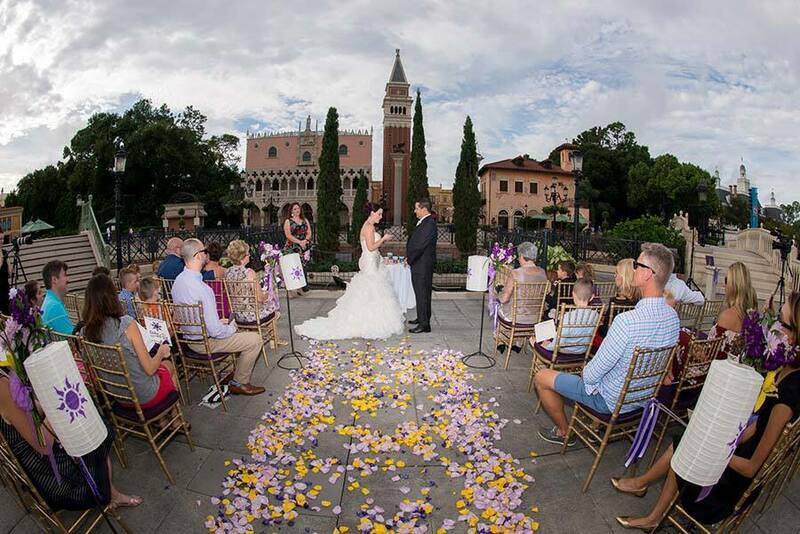 With a vow renewal planned, the couple enlisted the help of Disney's Fairy Tale Weddings to create an unforgettable celebration. 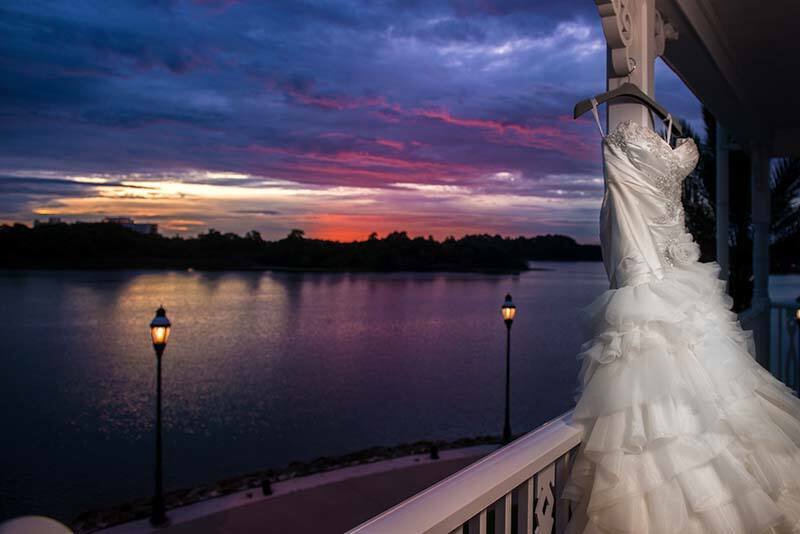 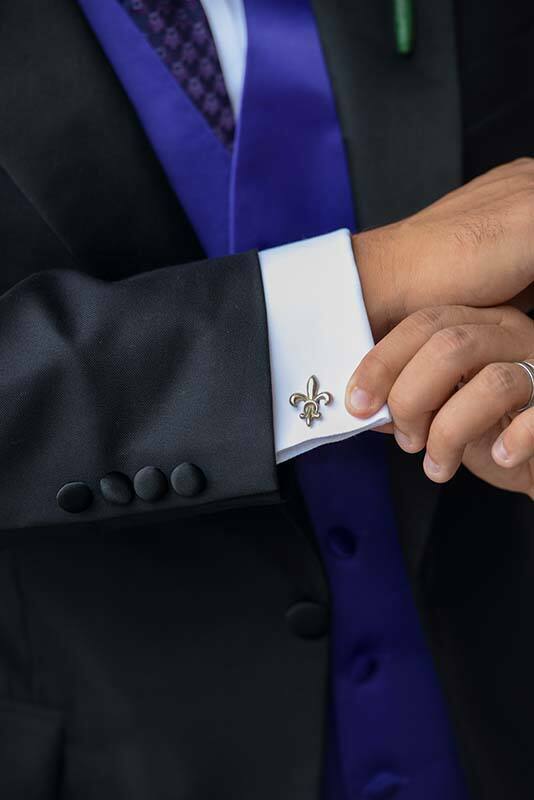 The bride said, "With no one to please but ourselves this time around, we did something completely different and exactly us." 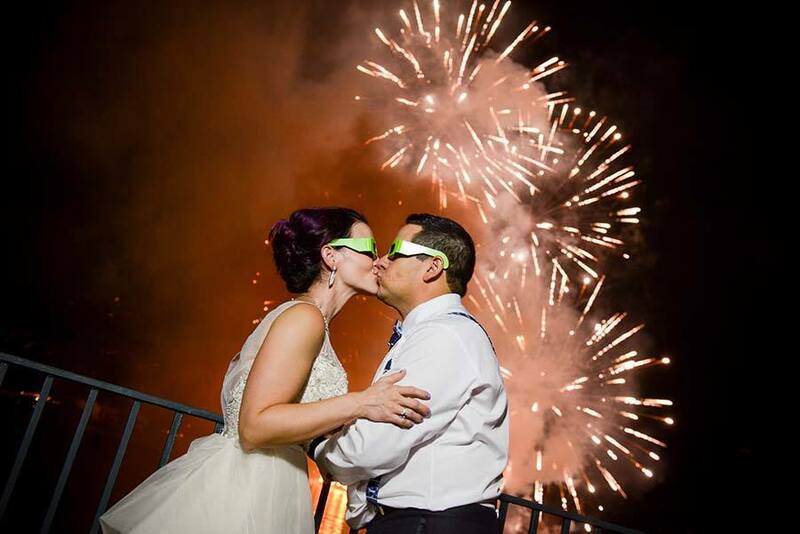 And, they did just that! 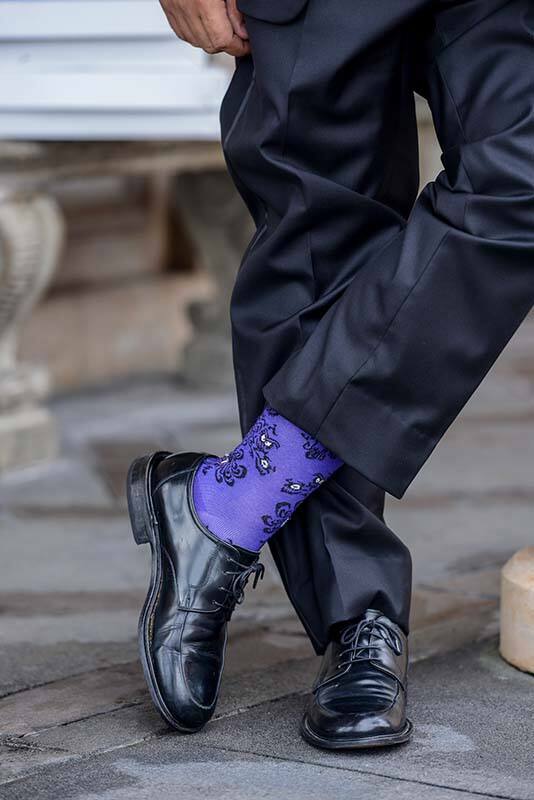 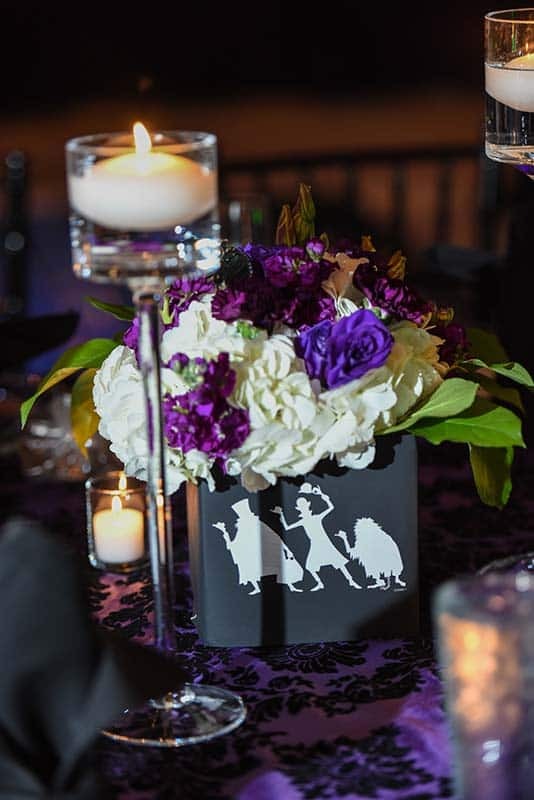 Unable to narrow down a specific theme from Tangled, the Haunted Mansion, and Star Wars, the pair decided to incorporate all three in the one day! 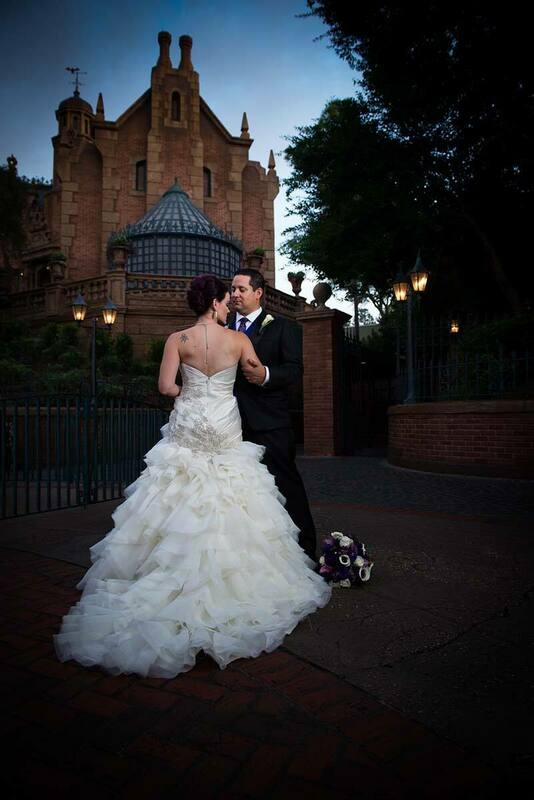 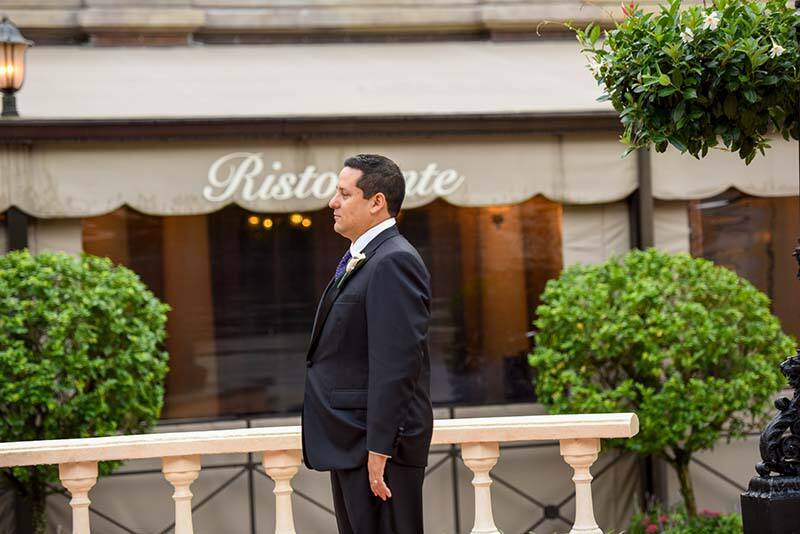 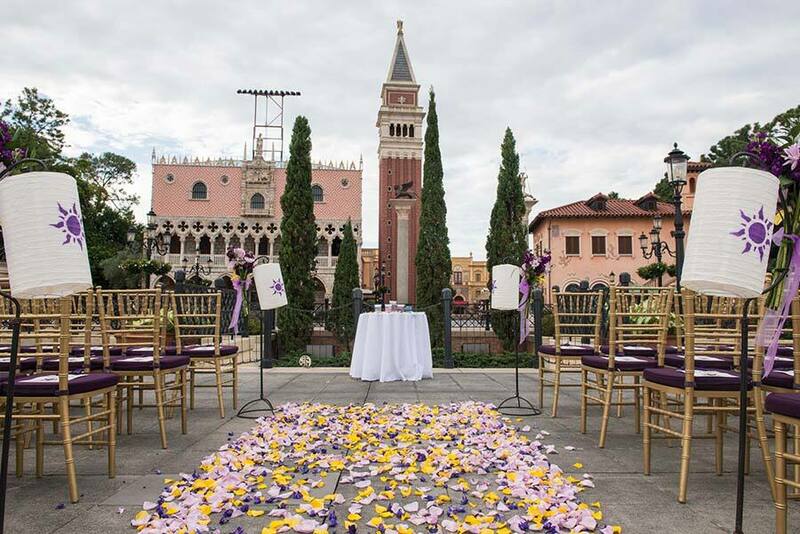 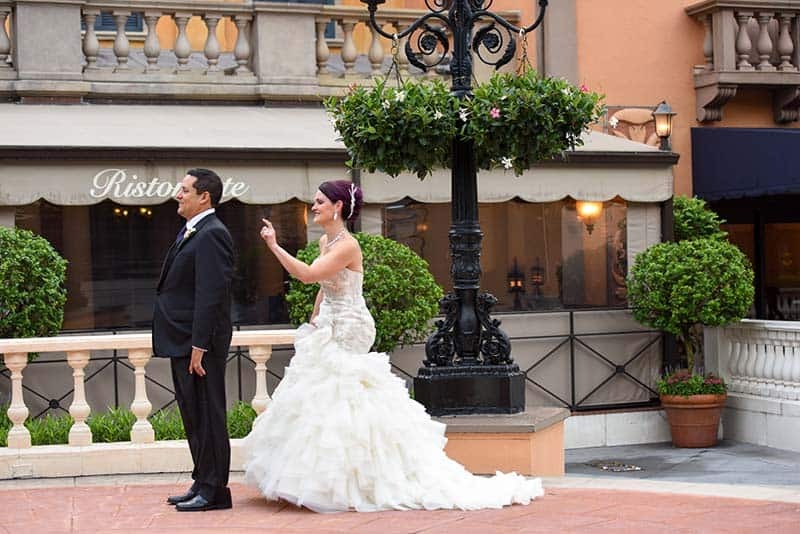 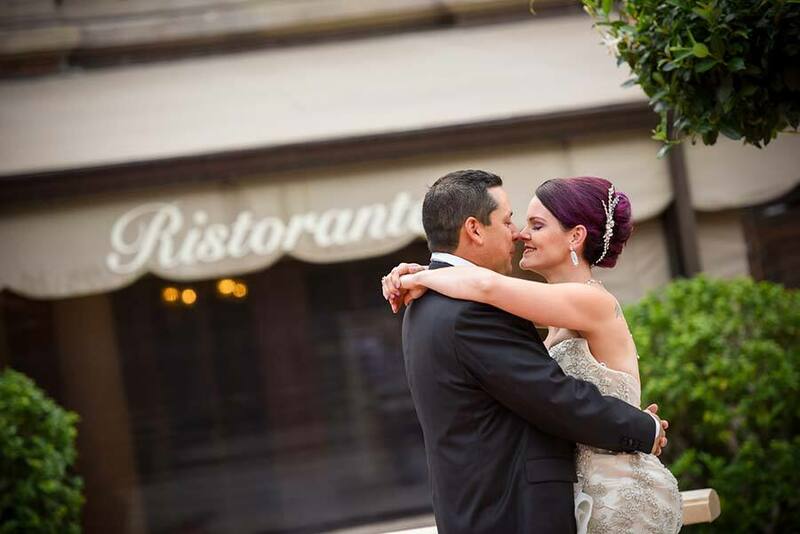 The fairy tale began at Epcot's Italy Isola with the bride arriving to her Tangled inspired ceremony in a vintage Cadillac. 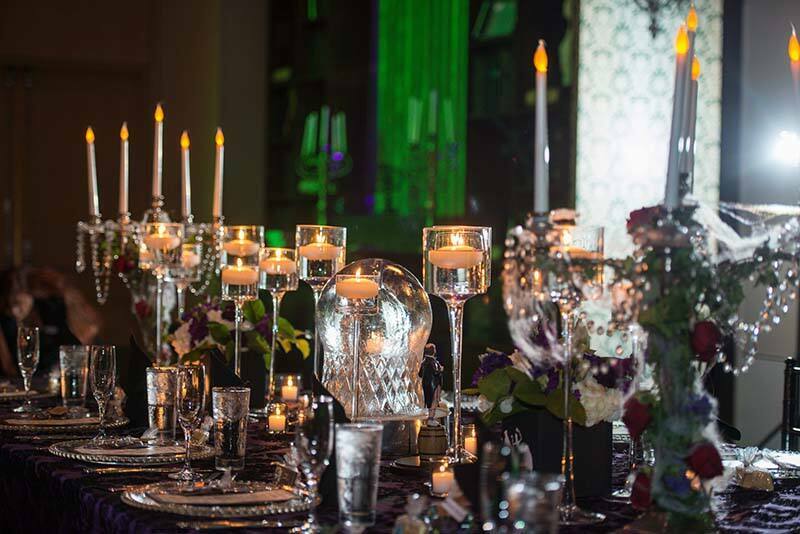 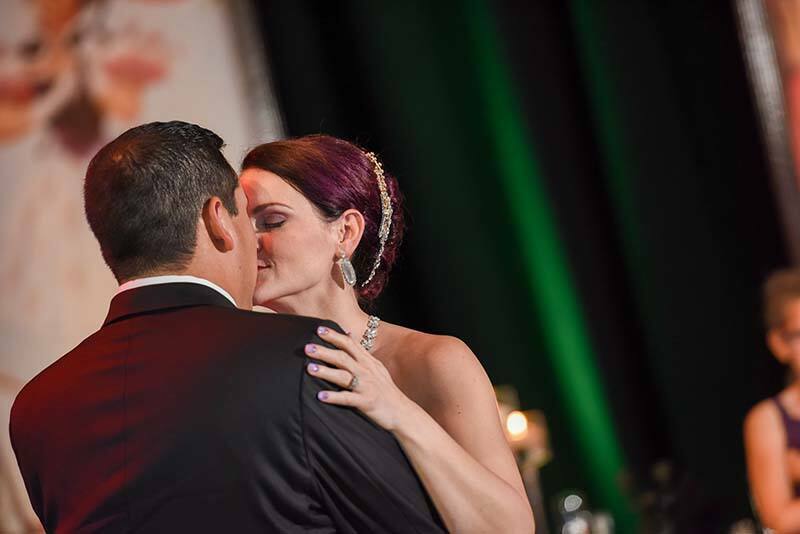 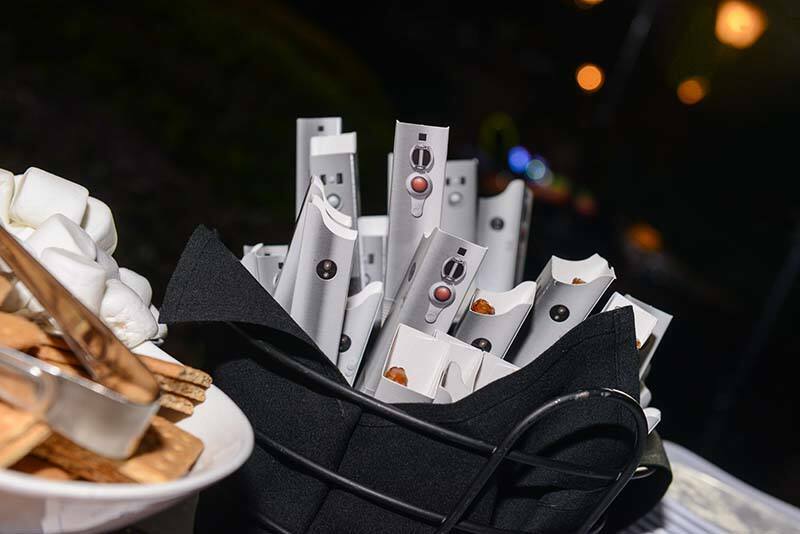 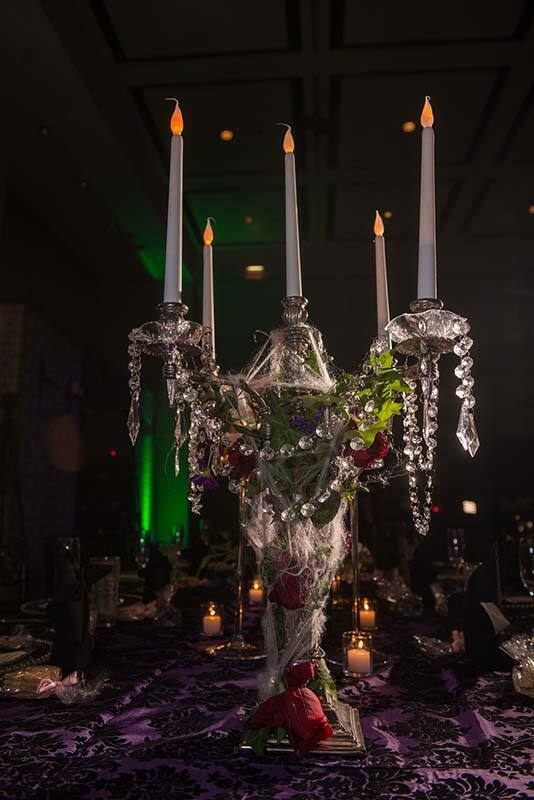 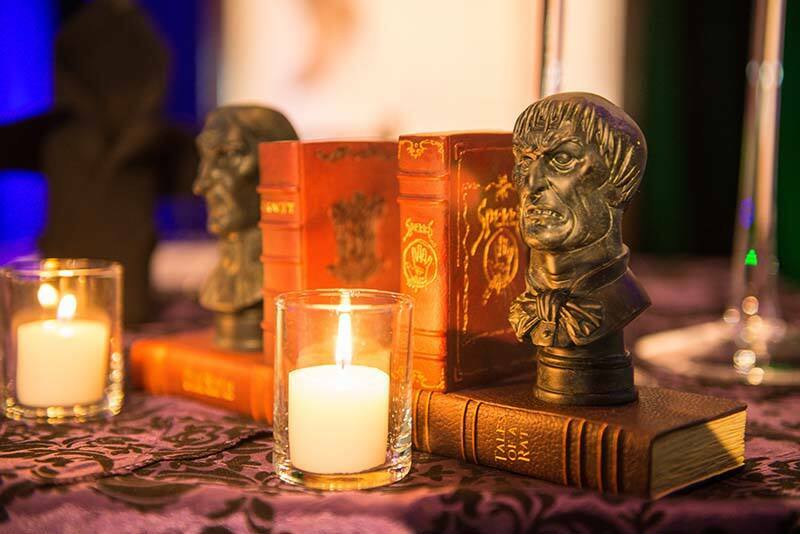 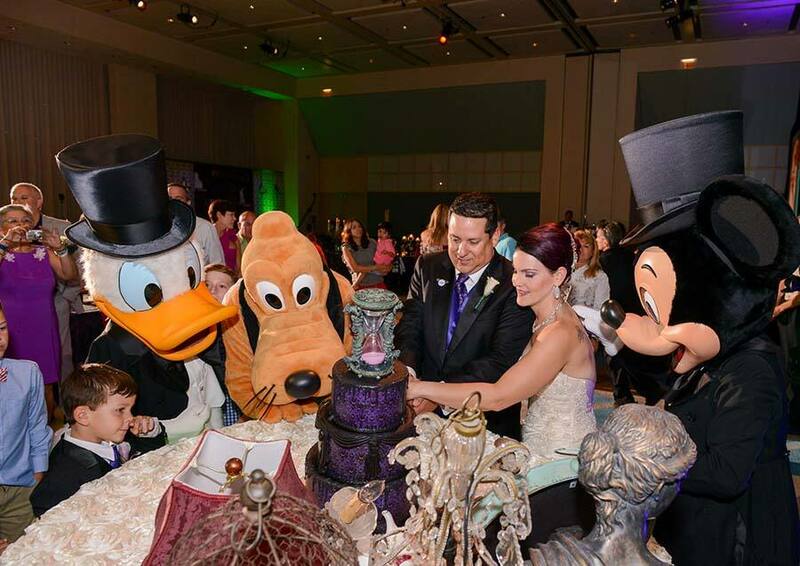 After the vows were exchanged, they headed off a spooky and ghoulish Haunted Mansion themed reception at Disney's Contemporary Resort. 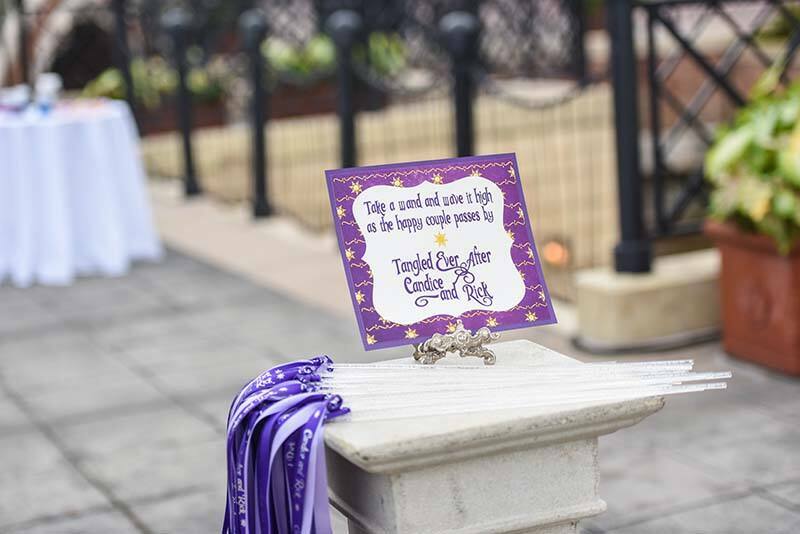 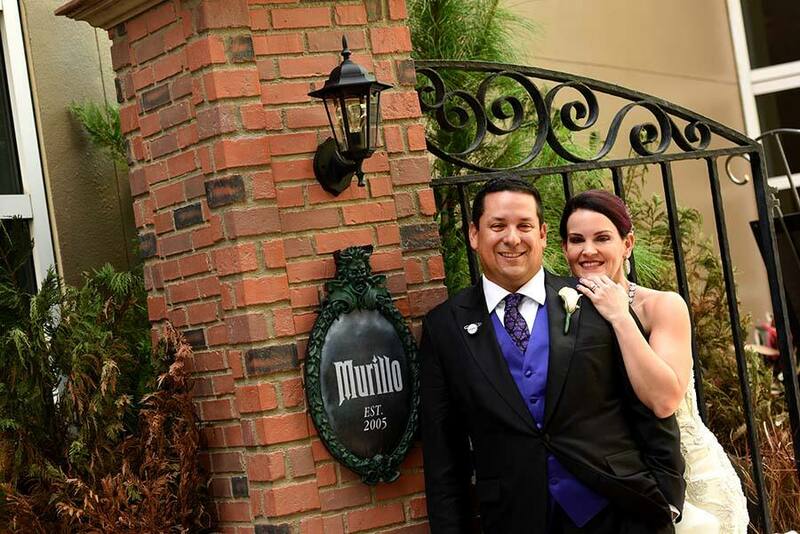 Not a single detail was missed from the entrance gate adorned with a custom plaque and frightful decor to the 'Hauntedly Ever After' wedding cocktail made just for them. 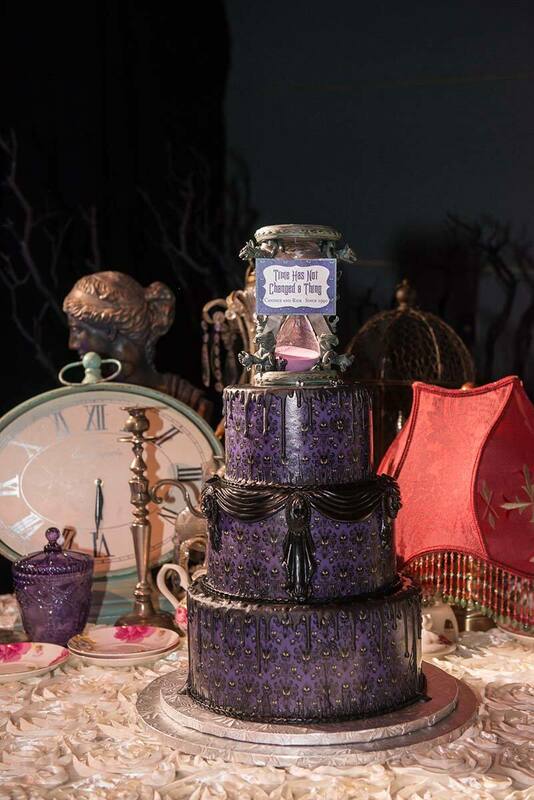 You might have seen their amazing cake earlier this week! 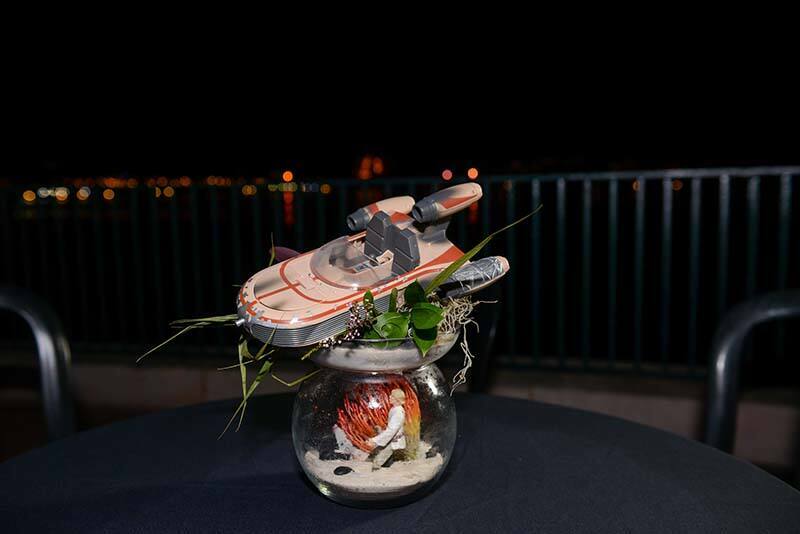 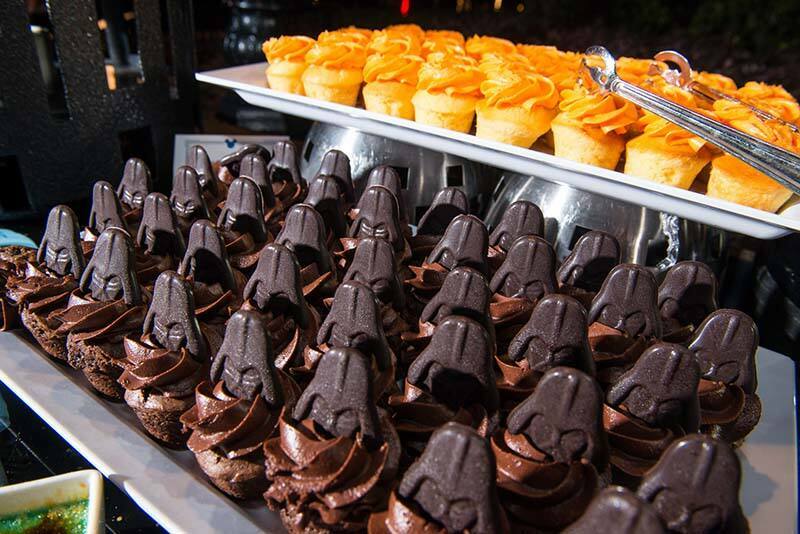 The day of festivities ended with a dessert party at the United Kingdom Lochside, which included Star Wars treats and Mickey Vision Fireworks glasses. 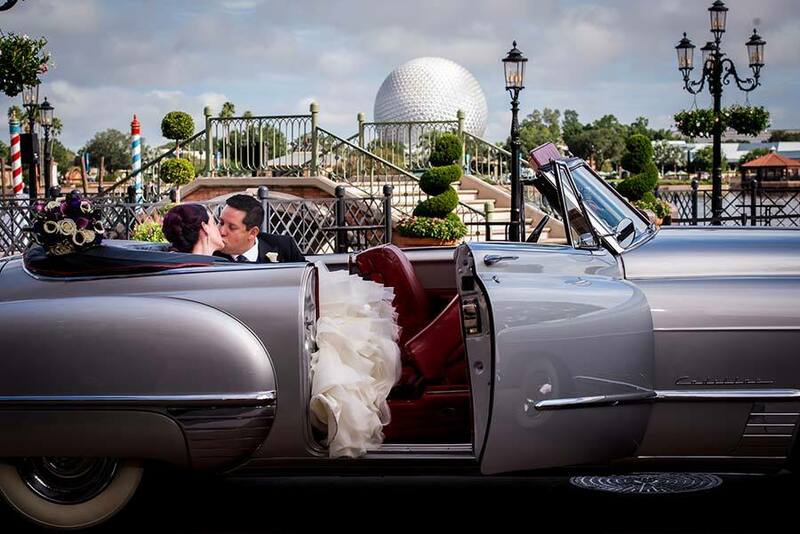 For Candice and Richard, the entire day was a "dream come true from beginning to end' and something they will never forget.